Alternatively, you can also make it roar loudly enough to let everyone know what you're driving. 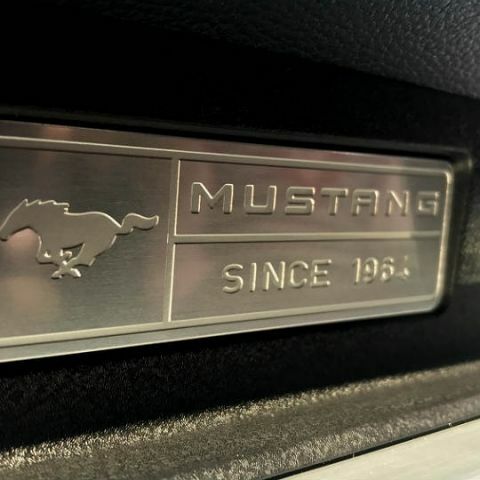 One of the reasons that the Ford Mustang has been famous for is the roar of its engine - fire up the eight-cylinder, 5.0-litre beast and pretty much the entire neighbourhood would either admiringly peep out of windows or annoyedly slam down shutters for you having disturbed their peace. Now, conscientious owners of the 2018 Ford Mustang can start their car up at much lower sound levels and hence draw lesser attention, thanks to Ford's new 'Quiet Mode' in the car. The need for this mode arose after a neighbour complained to the cops about the noise that a Ford engineer's Shelby GT350 Mustang was making. In Quiet Mode, the Mustang produces 72dB of sound upon starting and exiting, down from the 82dB roar that it typically makes. This Quiet Mode can also be scheduled to be operational by owners between a certain time span, which makes it easy for owners as they may often forget to switch the mode on while leaving in a rush. If this makes the new Mustang somewhat timid for you, Ford has you covered on that ground as well. The 2018 Ford Mustang has a 'Sport' or 'Track' mode, which can be enabled to make more noise. This will make the Mustang sound exactly like the way you would expect it to do, because of its 5.0-litre V8 engine. In a Mustang, the sound output of the engine are determined by the engine rpm, the exhaust mode and the car speed. Things that make Ford go vroom! It is this that Ford's engineers have tweaked to bring about the 'Quiet Mode' technology, something that will finally help you sleep in peace if your neighbour happens to be a flamboyant, noisy Mustang owner.